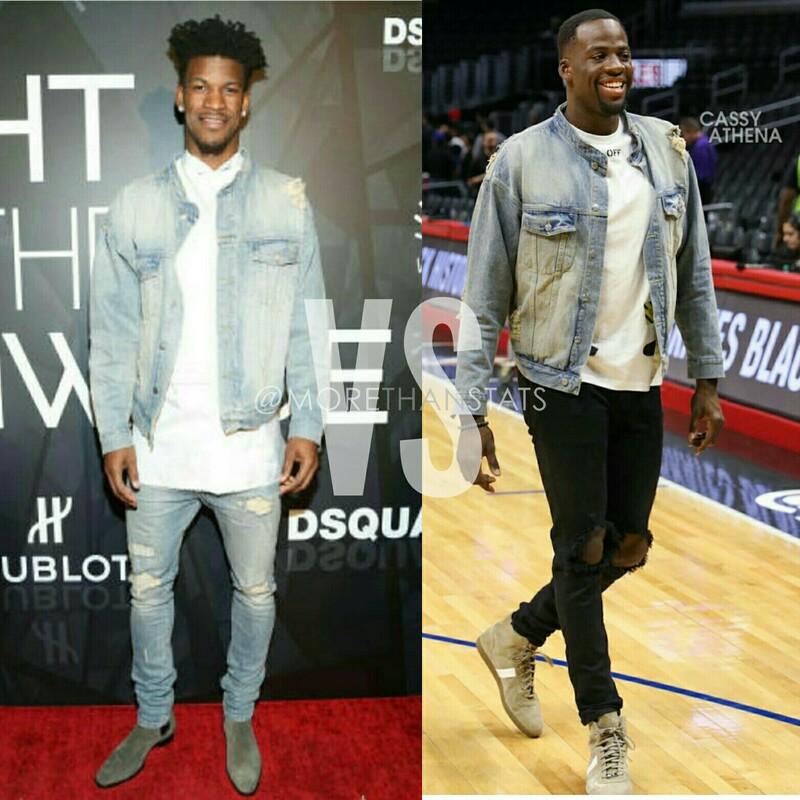 We spotted NBA stars Jimmy Butler and Draymond Green wearing a cool $450 Daniel Patrick oversized denim fashion jacket on separate occasions. 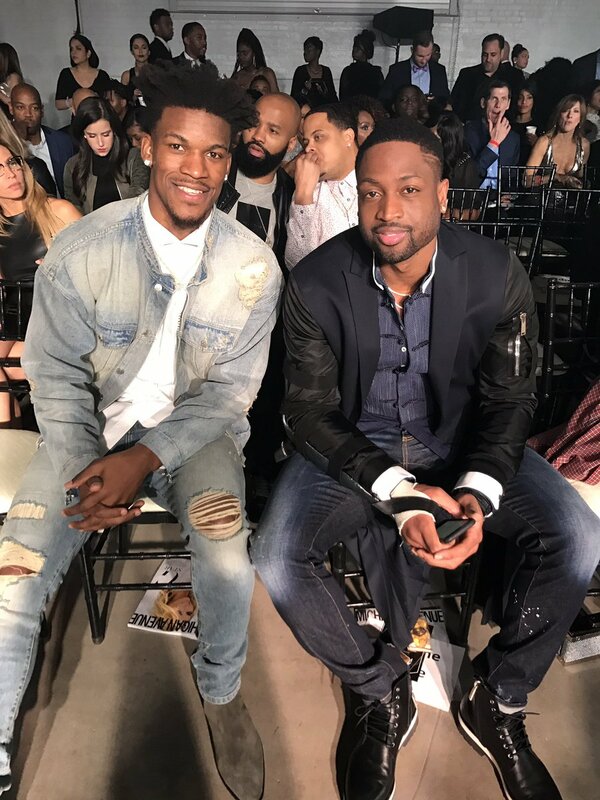 Jimmy wore the fashion jacket to teammates Dwyane Wade’s “A Night On The Runwade event. 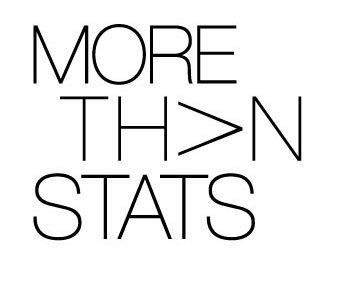 we you low key think it's your show.. but then realize it's @dwyanewade show. none the less had a great time with some great people! 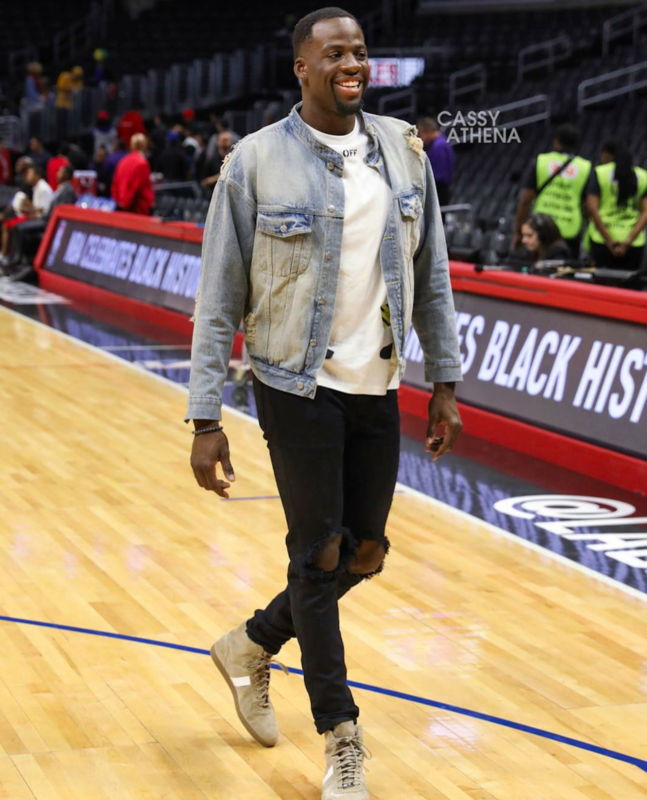 Draymond sported the oversized men’s jacket to on a road game in L.A. a few weeks prior.